Rafael was 100% right. The scenery on the bus route was stunning. 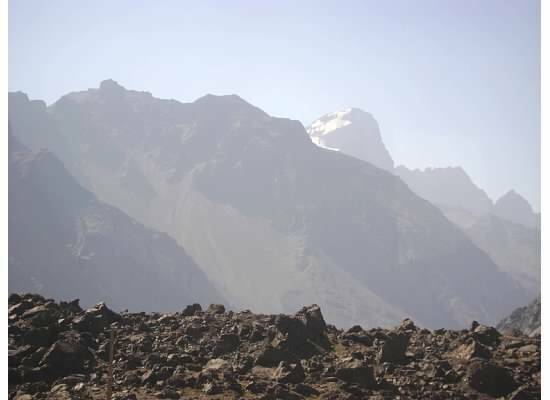 From Mendoza to the border, there were snow-capped mountains on one side of the bus and desert on the other. Views on either side were incredible. 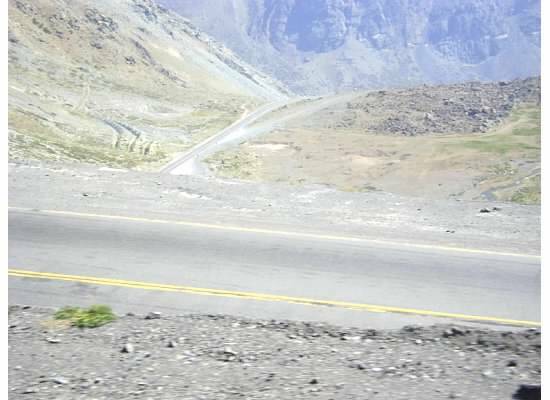 I knew that the bus would make no stops, other than at the border, from Mendoza to Santiago. I didn’t know how much farther we had left but I just couldn’t wait to get off this bus, even if it would be just a quick stop. Quick…ha. 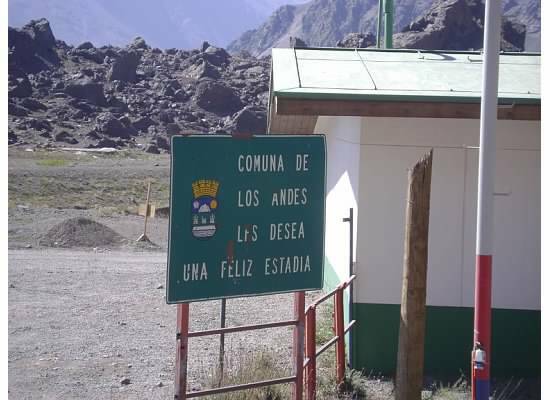 We slowly approached the border station at Paso Los Libertadores, a well-traveled crossing, in both directions, linking Mendoza and Santiago. I snapped some photos around me as we were waiting, and waiting, and waiting, to pull into the crossing. Unfortunately, the wait to get off the bus took an extraordinary long time. More so, because I wanted to get off the damn bus and probably even more so because I had to go to the bathroom pretty badly since I refused to go on the bus. Even more unfortunate, is that the border stop took just shy of 3 hours from the rolling stop to the bus moving again. What I didn’t understand was the process. There were many lines we had to enter and I’m sure each served a purpose but it just took so. very. very. long. The bus first had to go through a line because we were departing Argentina. 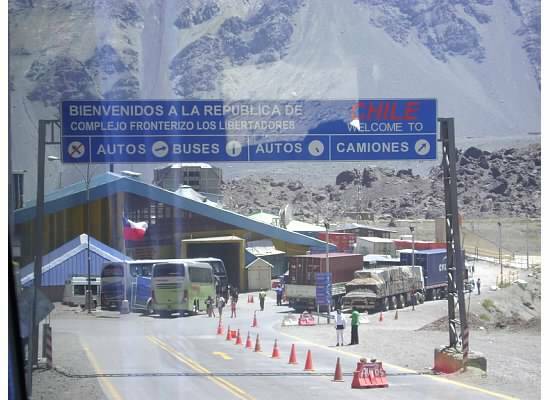 Then the bus went through another line because we were arriving into Chile (um, duh). Next, get off the bus and wait outside, on the Argentina side, for the dogs to sniff the bus. Once complete, enter the next line inside the building. Once inside the building, everyone on the bus lined up, like it was a police station line up, with our driver and his co-pilot leading the way. There were tables in front of each of the two lines. Bags went on a conveyor belt. Once the bags from under the bus were through, everyone on the bus had to put their day packs through. Somewhere in this long line, we waited in line to get passports stamped and probably go through customs. At some point, I was able to get to the bathroom. I walked into a bathroom that had at least an inch of water on the floor from wall to wall. I had to go so badly that I didn’t even care. I just told myself that the sink must have overflowed to avoid thinking about the toilets overflowing with something much worse than water. Once we had all gone through the line, the bus driver got the okay and motioned everyone to collect their stuff and get back onto the bus. 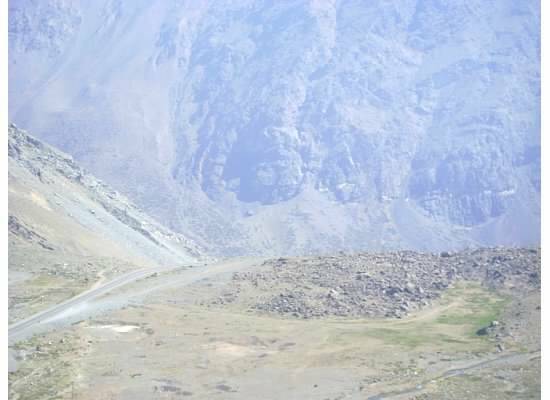 Once we were back on the bus, the scenery changed slightly after passing through the border and as we headed down the mountains. By far, of my bus photography, this photo (below) is my absolute favorite. 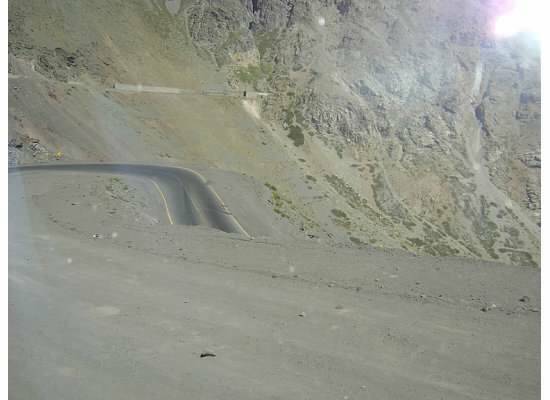 Much of the ride down the Andes on the Chilean side was on roads, with views, like this. 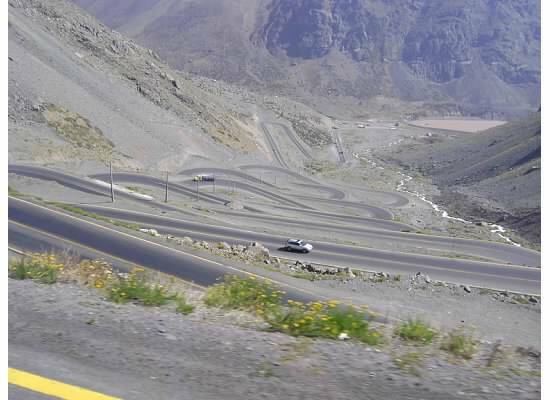 I wasn’t sure if the 3-hour border stop was included in the 6 to 8 hours so I was hopeful that Santiago would be close as we came down the mountain. It didn’t bode well for a short leg. Soon after we got going, the ‘co-pilot’ put another movie on. This entry was posted on Wednesday, April 15th, 2015 at 8:00 am	and tagged with argentina, chile and posted in bus travel, career break. You can follow any responses to this entry through the RSS 2.0 feed.